This map contains territory of Russia. topographic map of Sovetskiy и OziExplorer calibration free download. free map of Primorsk here. actual map of Glebychevo here. detailed map of Vysotsk и OziExplorer calibration free download. map of Yermilovo presented. topographic map of Vyazy for Garmin. 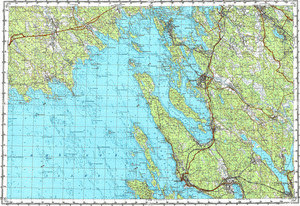 free map of Virsu free download. topographic map of Henttala with gps calibration download for free. map of Villi и OziExplorer calibration here. detailed map of Vilaniyemi with gps calibration here. topographic map of Veprevo 1 cm to 1 km displayed. detailed map of Velikoye и OziExplorer calibration here. topographic map of Vatnuori calibrated free download. detailed map of Vankhakyulya here. topographic map of Vahvaniemi calibrated here. interesting map of Tsementovo with gps calibration download for free. topographic map of Topolya with gps calibration download for free.